Urban buyers will appreciate the nimble, versatile vehicle with a high fun-to-drive factor. Since the Ford Motor Company announced that it would soon curtail much of its conventional automobile production and sales in the American market in favor of truck and crossover production, there has been lots of second-guessing among industry critics. What if gasoline prices once again rise to $4 per gallon, or higher? Will Ford be able to sell enough vehicles to remain viable? Is Ford forsaking its status with loyal Ford car owners, losing future sales? How long can Ford last in the face of a shifting marketplace and the pending onslaught of electric vehicles? But what if Ford’s executives see a world where the EV market is over-run with amorphous, jelly-bean (or sugar-cube; you choose)-like autonomous pods, generic widgets of no identity, transportation devices that generate no loyalty because we won’t own them – we will summon them when needed. Just interchangeable, indistinguishable, robotic containers you schedule with your watch or the chip embedded in your wrist. 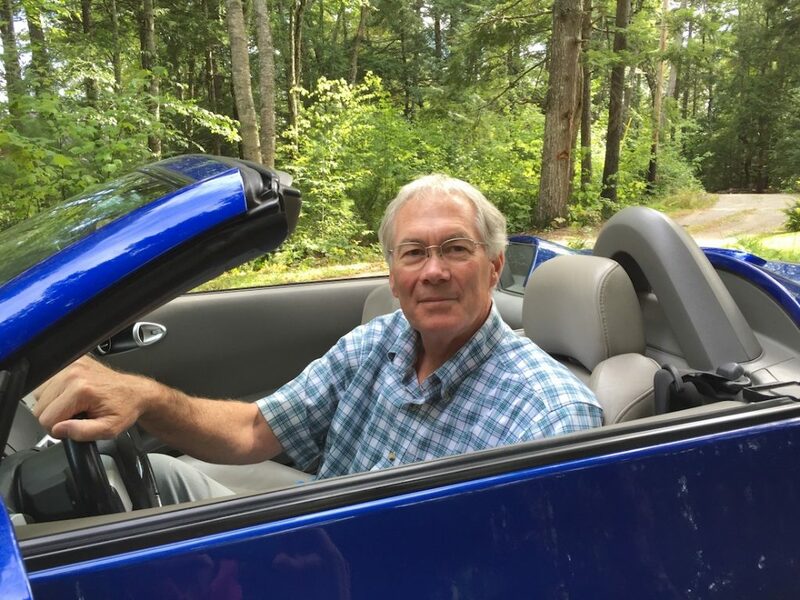 Maybe Ford is saying to the market – and to its shareholders – that they will make the vehicles that are fun (Raptor and Mustang) plus the pickup trucks and crossovers that customers now crave, as well as the vehicles that will generate real profits. Is Ford ahead of the future, ahead of the pending game-changing atmosphere, or has Ford bet the farm on a losing risk? We’ll know in about 10 or 15 years. Ford also recently announced an aggressive push into the electrification of its fleet. However, every automaker is playing catch-up to the media and the bureaucratic pressure of producing hybrid and EV-powered vehicles despite little marketplace inclination to purchase these vehicles, and the power-grid warning of consequences to “fuel” them if our driving fleet rapidly shifts onto our power grid. Like many automakers, Ford is hedging bets on one hand, hoping to draw a pair of aces with the other. Into this scenario pops the new sub-compact EcoSport crossover. Entering one of the fastest growing segments of the industry, the short EcoSport joins rivals like the Jeep Renegade, Chevy Trax, Honda HR-V, and Nissan Rogue Sport as buyers continue to leave small cars at the curb and embrace these taller-riding and more flexible crossovers. With new entrants coming from Nissan (Kicks) and Hyundai (Kona), automakers are prepared to capitalize on the shift to these car-based tall wagons. The EcoSport has been around for several years, produced in Brazil, Russia, Romania and China. The American version is built in India. Roughly 17 inches shorter than Ford’s Escape, and even shorter than its primary competitors at only 161 inches long, the EcoSport uses a unique swing-out rear door instead of a liftgate (the handle is hidden in the right tail-light) plus second-row theater-style seating that elevates passengers and improves comfort. The cabin is narrow – perhaps cozy is more appropriate – yet cargo room is 21 cubic feet behind the rear seat, rising to 50 cubic feet when the seatback folds. Front drive is standard on base S and SE trim, along with a 1.0-liter 123-hp three-cylinder engine borrowed from the Fiesta, while SES and Titanium trim offer AWD with the optional 2.0-liter 166-hp engine. A 6-speed automatic is used in all models. Engines are built in Germany, and the transmission comes from Mexico, helping to ease assembly in the aforementioned countries. As one of the smallest AWD vehicles on the market, the EcoSport will find strong appeal with urban buyers seeking a vehicle that fits into their limited space, and is versatile. 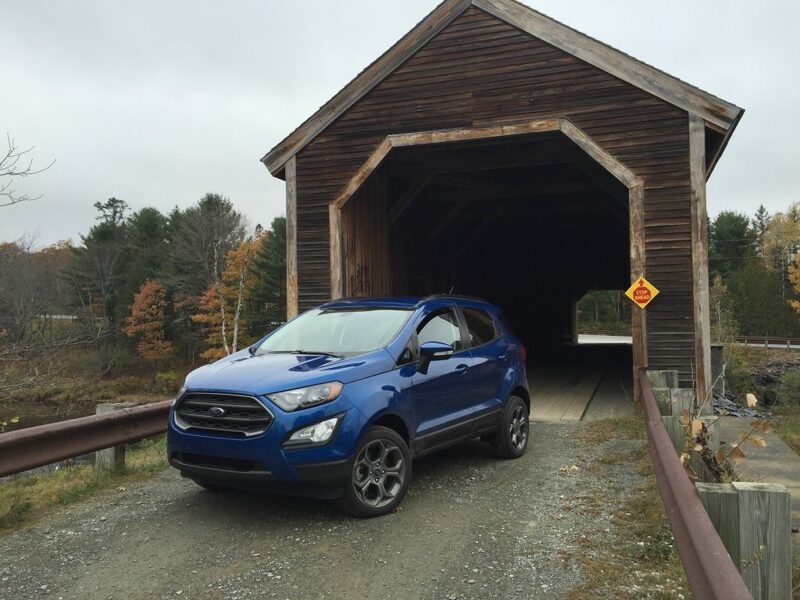 The Ford is nimble in town and on the road; the fun-to-drive factor is high, and access is conveniently easy with the elevated stance. Passengers will like the raised rear seating, affording very good head room even if knee room might be snug. Drivers will find excellent controls with conventional knobs and dials properly placed. 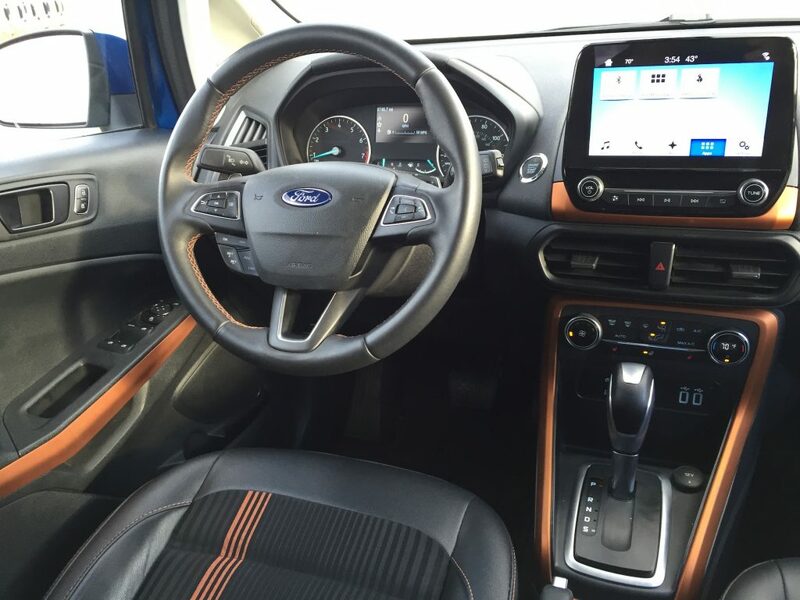 An 8-inch touchscreen, larger than most, offers Ford’s Sync 3 functionality with clear graphics for navigation and entertainment, plus a large rear-view camera aided by rear parking assist on the sampled SES trim. There is push-button ignition, Apple/Android compatibility, blind-spot detection, plus very effective heated cloth seating and heated steering wheel, but no emergency braking system or lane-change assist is offered. Pricing starts at just under $21,000 for front-drive models. Our Lighting Blue SES with the 2.0-liter four ($25,325) returned 27.1 mpg over 976 miles against an EPA estimate of 22/29-mpg. The sales data each month shows continuing erosion of new car sales of all types. Sales of crossovers – in all sizes – continue to expand. Marketers clearly see the potential for hybrid or electrified versions of the latter, as buyers say good-bye to cars.